I met up with Bingenheimer at Canter’s Deli, his favorite local hangout, to get the full scoop. You’ve long been known as the “Mayor of the Sunset Strip.” Did actor Sal Mineo really coin that nickname? When did the English Disco open and how did it come to be? It opened on my birthday, December 15, 1972. Before that I had another club at another location, which is now Bar Marmont. 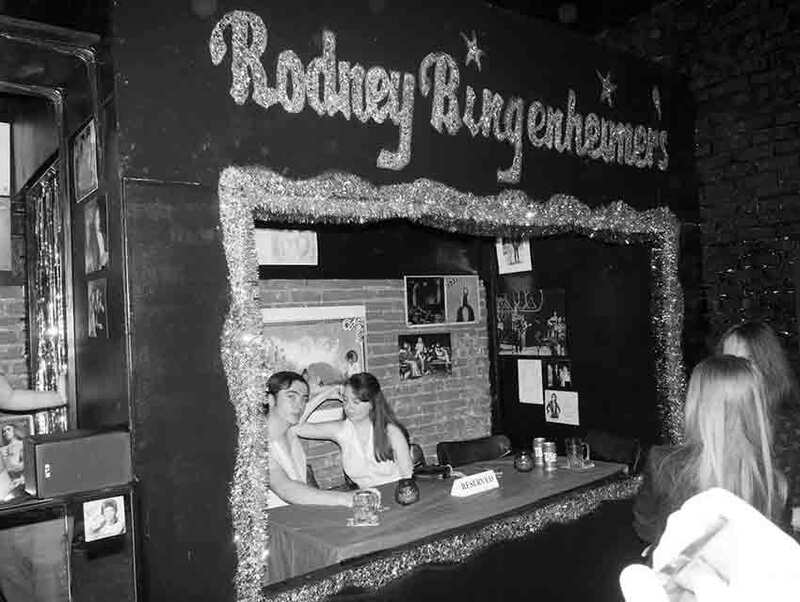 It was called Rodney Bingenheimer’s E Club and I shared it with a juice bar. I had these partners at the time—Tom Ayres and Barry Barnholz—who suggested we have our own club and we moved down the street to the English Disco. I’ve heard that you decided to open the club after having a discussion with David Bowie in England. Yes, on my first trip to London after working at Mercury Records. During that trip I was at the recording of Bowie’s “Hunky Dory” LP at Trident Studios. Usually after the recording sessions I would attend the discotheques. I went to new place called the Cellar and they were playing music I had never heard before, like Slade, Roxy Music, and T. Rex. I told David Bowie what I’d heard and he encouraged me to introduce this new sound to Hollywood. Describe the English Disco. Who hung out there and when was it open? It was open from 1972 to 1975. Everybody showed up. 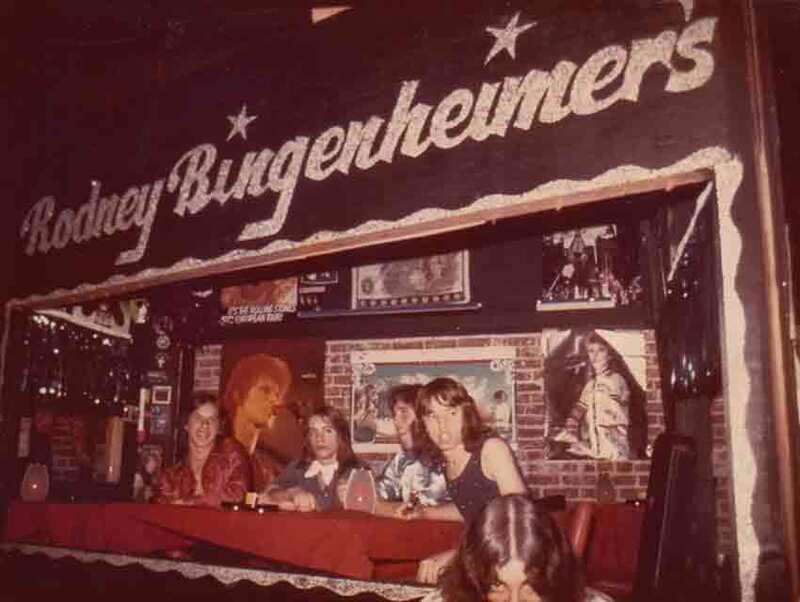 The regulars included Led Zeppelin, the New York Dolls, Iggy Pop [who famously cut his chest while performing at the disco] Shaun Cassidy and his band Longfellow, Zolar X, and an L.A. artist called Smokey whose guitarist was Randy Rhoads. Tell us about Elvis dropping by. Another regular was a guy named Rick Stanley, who is Elvis’ stepbrother. He really enjoyed what was happening at the club and the music and the guests. I used to go to Vegas to see Elvis at the International Hotel. I’d tell Rick about it and he told me Elvis would be recording and rehearsing at RCA [in Hollywood]. I used to drive by the old location and saw they turned it into the art gallery ltd los angeles. I walked in and looked around and thought, I’d love to do something here again. That’s when I met the owner, Shirley Morales. She didn’t know who I was until someone explained to her what the space used to be. Shirley got excited and thought she should do a tribute to the club. It took a few years and it finally happened thanks to Dennis Hoekstra. His other installations include a recreation of CBGB’s bathroom. 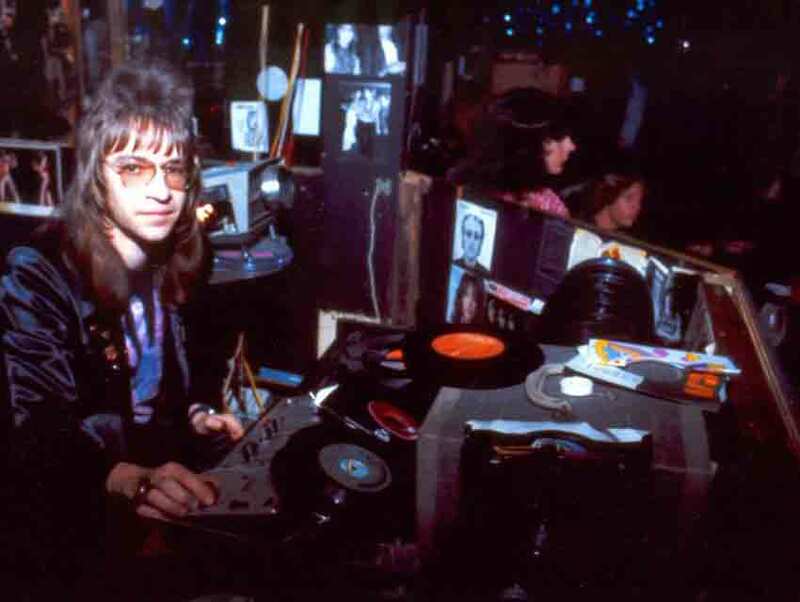 Dennis built the disco’s VIP booth and DJ booth exactly how they used to look. He even recreated the bricks! 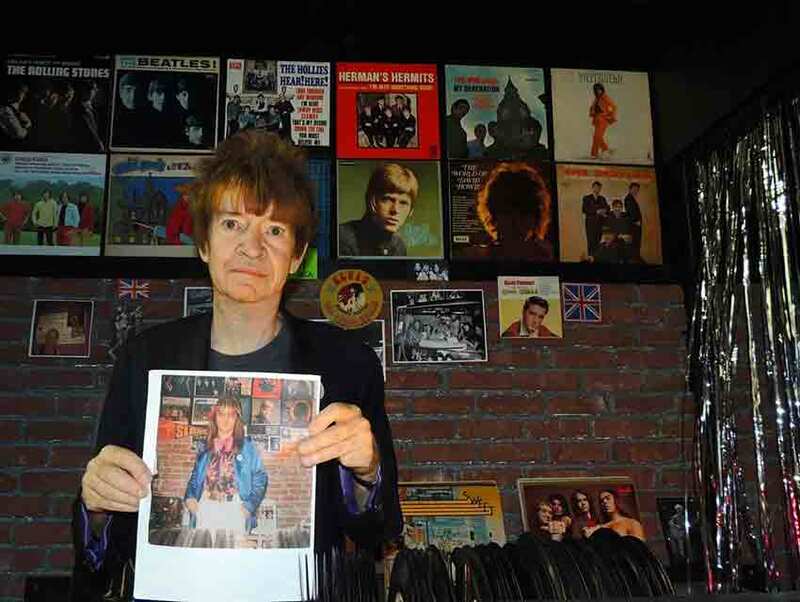 Yes, he used a lot of my photos, which will all be featured in the new book project Rodney Bingenheimer’s English Disco: A Glitter Revolution by Harvey Kubernik, Mark London, and me. A lot of the posters and pictures in the installation are the same ones that were used in the actual English Disco and they all came from my collection. Dennis Hoekstra was very committed to this project and went out of his way to get every detail perfect. He was great to work with. It’s so rare that something is brought back from the past. 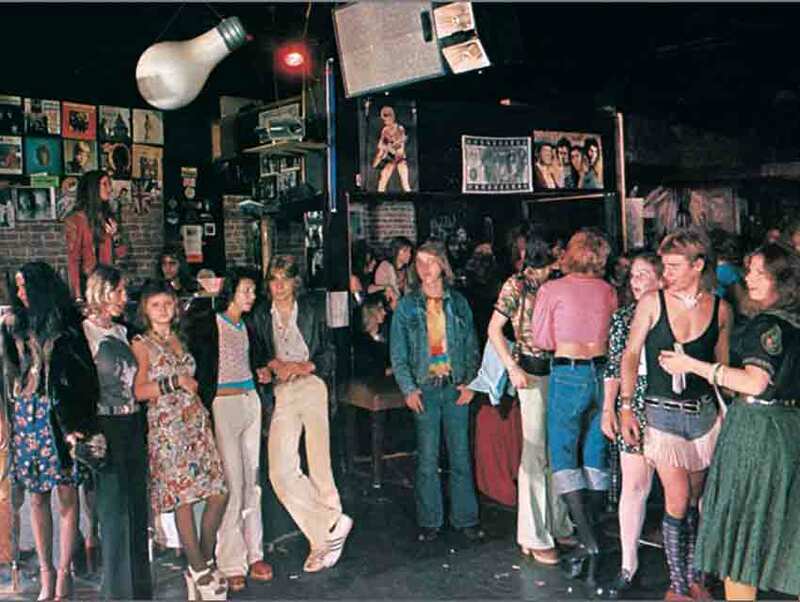 Are you excited for former English Disco goers to experience the club again? And what do you want the new generation to learn from the installation? Some of the original glitter critters showed up to see the installation and were shocked to see it look exactly how the club used to be. I’m excited to have new generations listen to glitter music. When other art shows are happening [at the gallery], you can find me in the DJ booth playing nothing but David Bowie, T. Rex, Alvin Stardust, Mud, and the Sweet. I really want to get people dancing like we used to.